Posted on : July 8, 2016, By: Tom Kokonowski, Esq. The possession of 1 ounce of marijuana or less for personal use has been decriminalized in Massachusetts and is considered a civil offense with a $100 fine; however, the cultivation of marijuana is taken much more seriously. Here’s what you need to know about the penalties for cultivating marijuana. Cultivating less than 50 pounds of marijuana is a misdemeanor for a first and second offense; however, it is still penalized harshly under the law. When an individuals is charged with first offense cultivation, they face up to two years incarceration and a $2,000 fine. Individuals charged with second offense cultivation face between 1-2.5 years incarceration and a $10,000 fine. Cultivating between 50-100 pounds of marijuana is classified as a felony under Massachusetts law and is punishable by a mandatory minimum sentence of one year, but individuals who are found guilty could face up to 15 years in prison. Like second offense cultivation of less than 50 pounds, the fine for this crime is $10,000. Cultivating between 100-2,000 pounds of marijuana is a felony offense and is punishable with a mandatory minimum sentence of 2 years, but up to 15 years. The fine is substantially increased to $25,000. 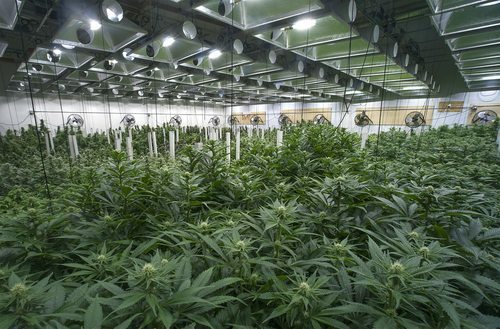 Cultivating between 2,000-10,000 pounds of marijuana in Massachusetts is a felony and carries a mandatory minimum sentence of 3.5 years, with the possibility of up to 15 years incarceration. The fine for this offense is up to $50,000. If you are charged with the cultivation of over 10,000 pounds of marijuana, you face serious felony penalties. The minimum mandatory sentence for this charge is 8 years, and the fine rises significantly to $200,000. The law punishes the cultivation of any amount of marijuana more harshly if it is within 100 feet of a public park, or within 300 feet of a school. The punishments are a mandatory minimum of 2 years incarceration, but up to 15, with a $10,000 fine. If you cause or induce a minor to be involved with the cultivation of marijuana, you could be charged with a felony and punished with a minimum of 5 years incarceration, with the possibility of up to 15, and a $100,000 fine. If you have been charged with an offense relating to the cultivation of marijuana in Massachusetts, don’t hesitate to contact a drug crimes attorney. Call today for a consultation at (413) 585-9200 or (413) 549-0022.